Looking for a special gift for you or a loved one? Why not adopt one of our gorgeous Llamas. Basil is probably our naughtiest alpacas ever! He just adores the attention he can get from being naughty. He likes to wind up the other alpacas and encourage them to play all the time. He’s a bit like a toddler and likes to get his own way, and if he doesn’t then he will likely have a tantrum! When in the shed for customers, Basil will sit with his head and neck through the pen edge so that everyone can see him! He really does like to make himself known! Out trekking, he can be a little handful because he is ALWAYS full of energy – he’s like an very active child! When purchasing an adoption for a child, please check the age limits of our experience and treks as we do have restrictions and children with adopted llamas or alpacas can only engage in the experiences or treks suitable for their age. Please also note, no babies or children under 7yrs old are permitted on our farm. 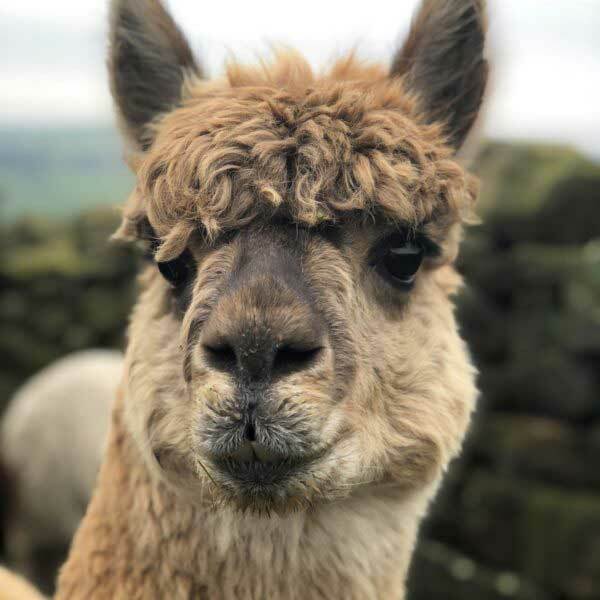 Nidderdale Llamas is a family run trekking centre in the heart of Nidderdale. The farm is idyllically positioned and enjoys some fantastic views. Everyone who visits Kiln Farm always comments on its amazing location. We take security very seriously. All our transaction are processed securely using PayPal.